In addition to our hire services, we offer a range of products for sale. 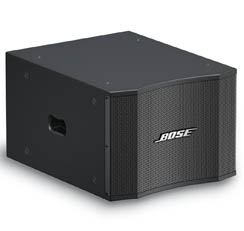 We are the authorised distributor of Bose Professional Sound Products for the Waikato and are able to assist from basic design concepts through to supply and installation. We also supply the complete range of consumables including Gaffer Tape, Lamps, Smoke Fluid, Haze Fluid, Batteries, Neutrik Connectors, Cable and Leads. Musicare is a retailer of Australian made Screen Technics projection screens, AV lifting devices and Flat Panel brackets. Great audio is heard and not seen. The world if filled with sound. In shops the right music can increase sales, in the boardroom the correct sound system delivers your message effectively every time. A professionally designed and installed sound system can make a difference to your business. With the increased use of multimedia presentations people often overlook the audio aspects of their installation. As Waikato distributors of BOSE Professional Sound Products we have access to the best audio systems in the world. For more than three decades BOSE have been at the forefront of audio technology, with innovative designs and superior product quality. As each system is tailored to suit your needs, please call or email for more information about our range of audio products. As lighting professionals we have the experience to supply you with the correct product for your needs. Our customers range from ‘working’ DJ’s and entertainers through to promotions companies and exhibition organisers. We provide the right professional equipment to customers, products that allow them to work properly and deliver their service correctly. We work with private companies, government organisations, local authorities, schools, colleges, nightclubs, pubs, restaurants, churches, function rooms in fact anyone who needs effective lighting in their venue or building (or outside if required). If you want to come in and discuss your lighting needs please give us a call and arrange for a time so we can dedicate the time to giving you the level of service you require. It is vary rare that customers only come to us for lighting or audio products separately. Our ability to provide a complete service under one roof is why Musicare has grown to be the Waikato’s leading Sound and Lighting provider to all types of business and organisations. With years of experience and many satisfied customers we are able to help you with your project. To us you are not ‘just another restaurant’ or ‘a school hall project’, we work with you to establish your needs, examine your location and recommend the correct products to suit your needs not only right now, but with an eye on future needs as well. To discuss your needs please feel fee to call or email our office.